Relining a fireplace is a process of installing a new stainless steel flue in the chimney system. Relining are is done for many reasons such as cracked flues, unlined brick flues, new stove or stove inserts installation or a number of other reasons. 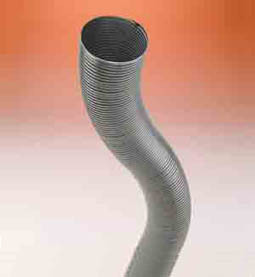 Any time there is a damaged flue system according to (NFPA) code 211 the system must be relined. Using a fireplace that has any of the problems listed above is making what could be a grave mistake. As gases flow though the system these gases make their way into cracks, gaps and any other area that is not sealed correctly. Once this happens pockets of fuel (creosote) can act like bombs tearing apart your system or even worse your home. Relining a fireplace keeps these flue gages going where they should be going. Outside!